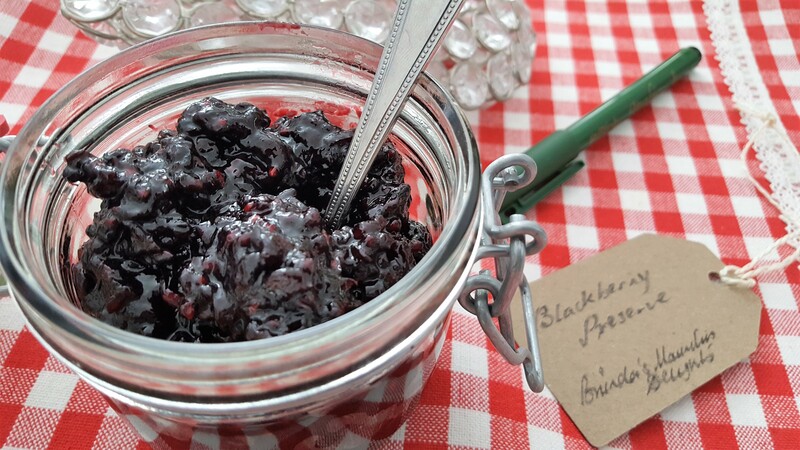 Blackberries make scrumptious preserves, jam or jelly. 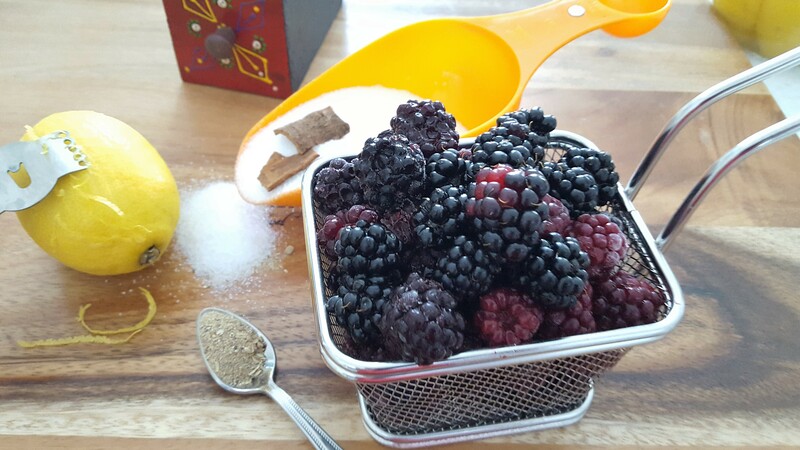 Fresh berries are in season, they are in abundance so why let them go to waste. 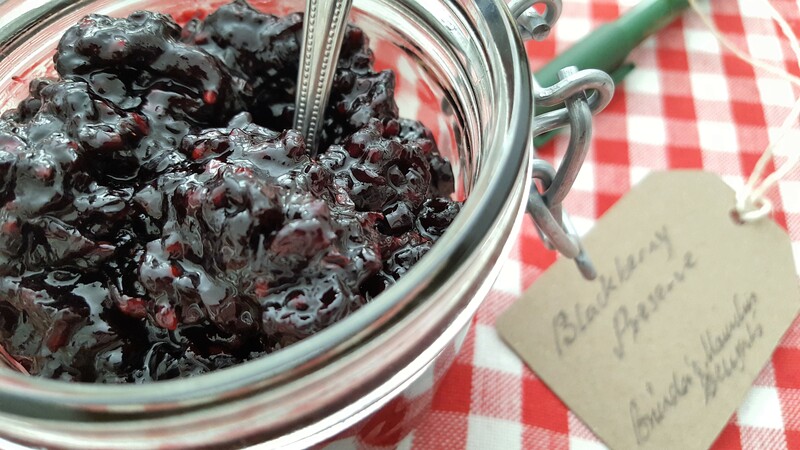 This year I had the pleasure of picking some gorgeous blackberry almost every week and lucky me I have tried and tested several recipes. The rich colours of blackberries have always attracted me. 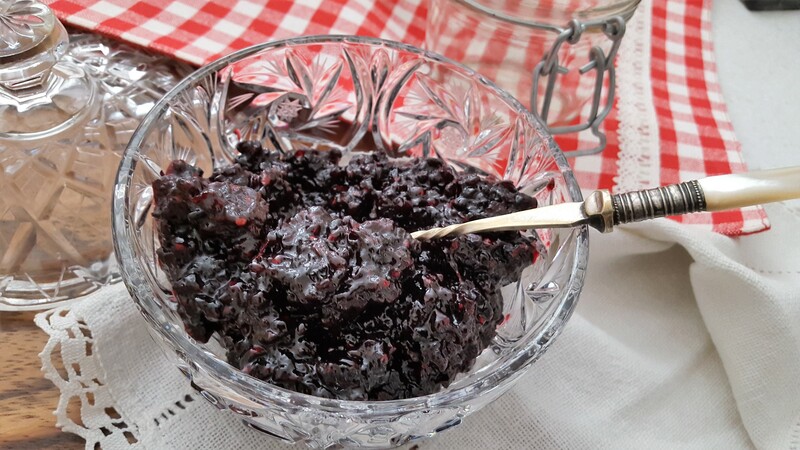 Before I continue let me reassure you that making fruits jam or preserve is nothing complicated, it is simply cooking the fruits until reduced and thick. They keep for months, whether mine will last is another question as I am eating this one like there is no tomorrow. I have to confess I have this little jar on my kitchen counter with a small teaspoon next to it, and every time I pass by a little magnet attract me and says eat me!!!!!! 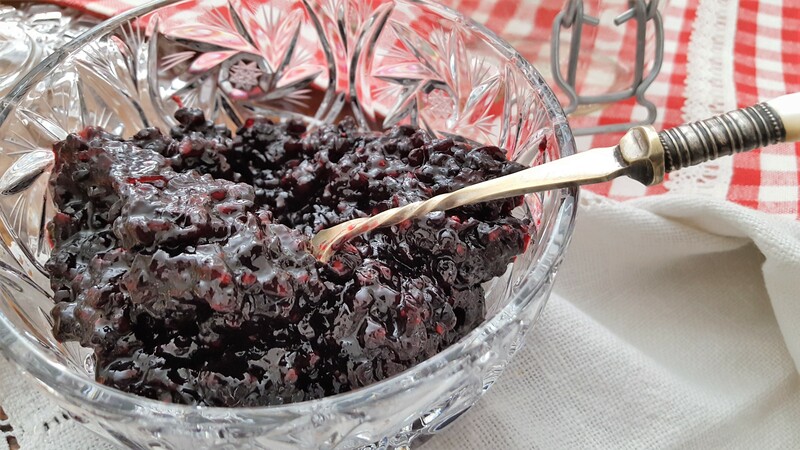 Anyway let’s talk about how you can make and enjoy this gorgeous looking preserve. Did you hear Cream tea anyone???? Yes you did. Well I have been enjoying it with fresh homemade scones and clotted cream. Now does this sound inviting?….of course who does not like a good “cream tea”. Cream tea dates back to the 18th Century and is one that is here to keep. As I am talking cream I have to share with you this little story. 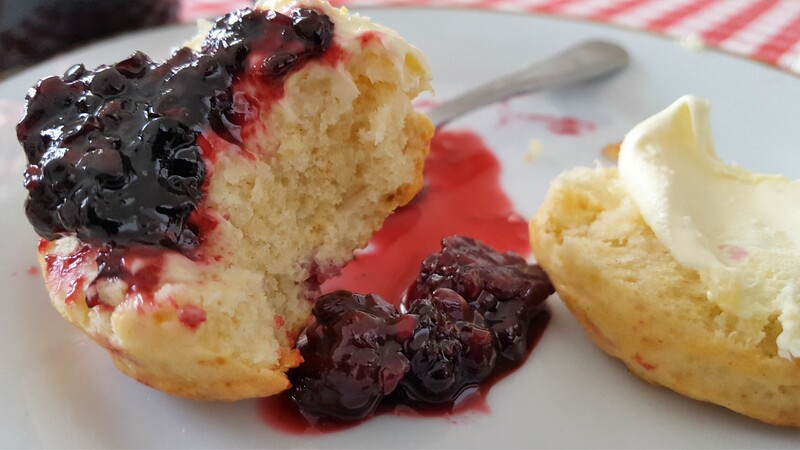 My very first experience of cream tea was in Cornwall – I had no clue what cream tea was. First trip to Cornwall we decided to stop in a farm coffee shop, not so clever me decided to order a cream tea (thinking a cream tea was a like an Indian Chai with creamy milk). I decide to order two cream teas, two slices of freshly baked cake (Carrot cake & Victoria sponge). As I was placing my order I noticed the lady looking at me and probably thinking, she eats a lot!!! It was only when the tray was presented to me I realised what a cream tea was, luckily sooner I realised I explained to the lady about my understanding of cream tea and cancelled the cake order. 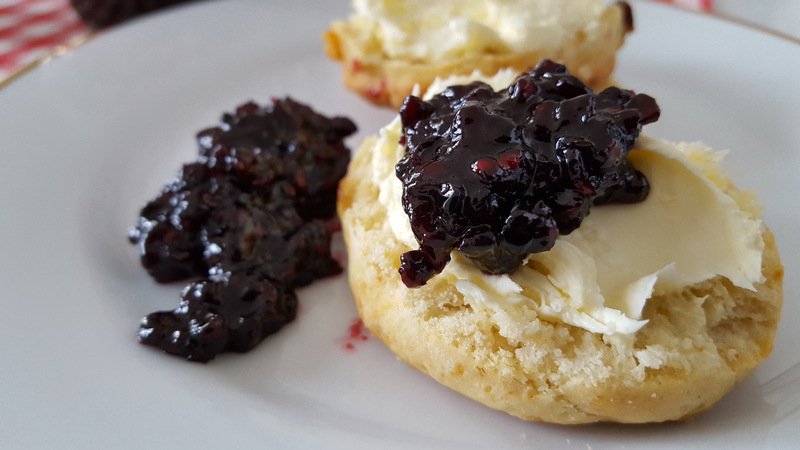 Moving on to the decadent “Cream Tea” just imagine warm crumbly scones, homemade fruit preserve, rich clotted cream and a pot of freshly brewed tea. 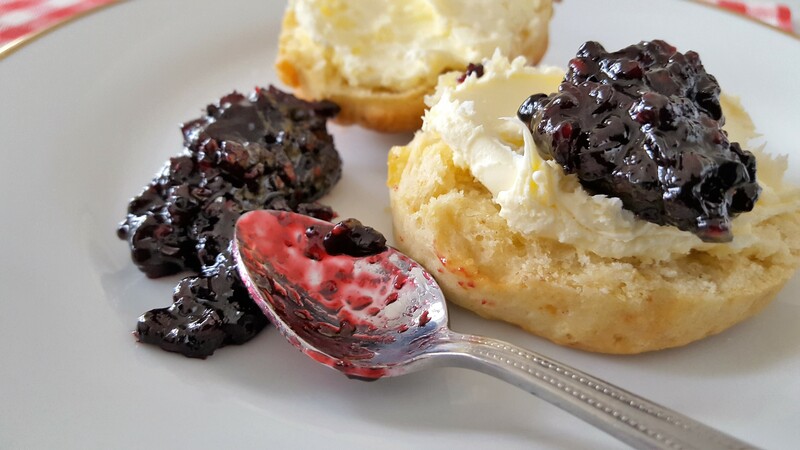 However you wish to do it dollop of clotted cream before the jam or after as we say on top or bottom (Cornish or Devonshire way) for me both of them fits the bill, since all goes in the same way….the excitement is always there. As it boil a foam will form on the top, skim the foam off while keep stirring so it does not stick to the bottom of the pan. I don’t like mashed up berries so when stirring I take care to break them gently and mash them, but the choice is yours. 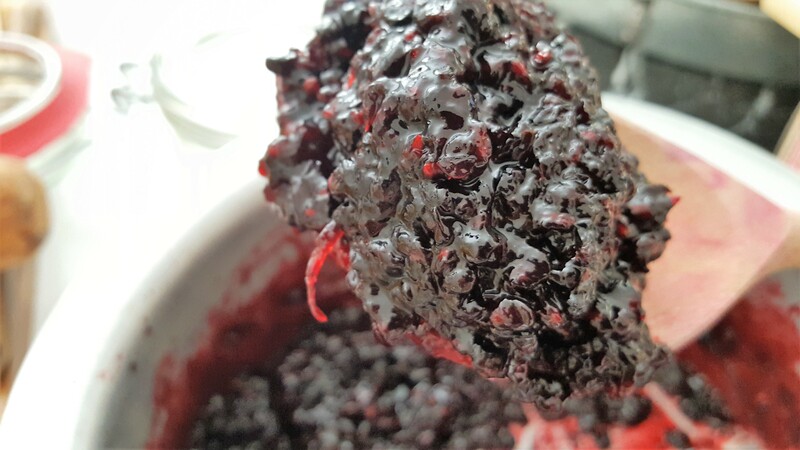 As the mixtures starts to thicken sugar crystal will start to form inside the pan, using your spoon bring the crystal back into the fruit mixture and mix till the dissolve. 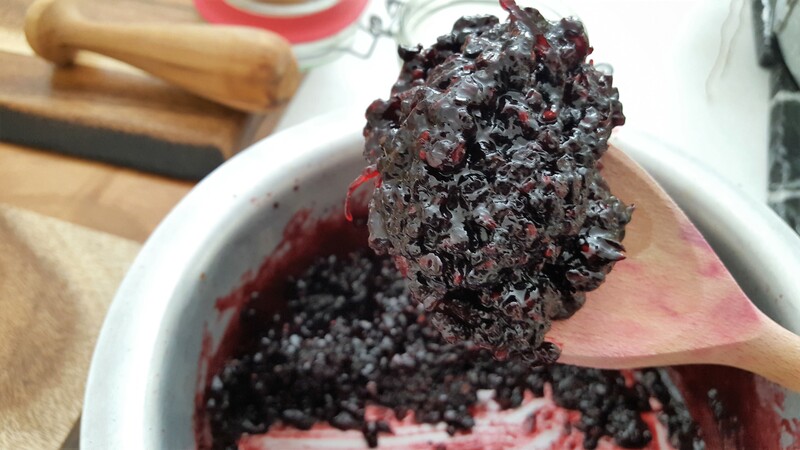 To test if the mixture is ready, using you spoon draw a line at the bottom of the pan, if it leaves a trail that takes a few second to disappear, is a sign that the jam has reached its thickness consistency. Turn the heat off the heat, I tend to leave the fruit in the pan until it’s just about cool down. Using a spoon fish out the cloves, cardamom and cinnamon stick. Pour the mixture in your prepared sterilised jam jar (see tips below), then cover with a waxed disc and seal jar.